All orders placed for stock that we have immediately available with us are subject to a 24 hour processing and dispatch time and are delivered across mainland UK within 2-3 days of ordering, free of charge. Shipments to The Scottish Islands, The Channel Islands and other offshore UK locations (excluding Northern Ireland) will incur an additional charge of £10. Orders received befor 3:30pm UK time can be expedited for a charge of £10, and will be delivered the next day after ordering (excluding weekends and public holidays). All products are shipped using DPD.co.uk. Your order will be delivered in it's original manufacturer's packaging, along with any instructions and warranty information. If your order arrives with damaged packaging please do not refuse it as the product may still be intact. Check the contents thoroughly once you have signed for it and inform us immediately of any damages. The courier's delivery drivers are on tight schedules and cannot wait for products to be opened and checked thoroughly. Please note that by default we deliver to the billing address that your payment card is registered to. If you wish your items to be sent to an alternative address, additional security checks will be made and, if necessary, we will contact you by email or telephone. 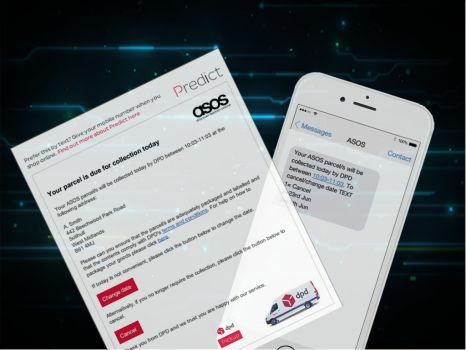 You will receive an email from us with tracking information and confirming that your order has been dispatched. Our standard 2-3 day delivery on available items to the UK mainland, Scottish Highlands, and Northern Ireland, is free of charge. Expedited shipping (next day if ordered before 3:30pm) to the same incurs an additional charge of £10. Shipping to The Channel Islands, Scottish Islands, and other offshore UK locations (excluding Northern Ireland) incurs an additional £10 for our standard 2-3 day delivery service. Expedited shipping to these locations is unavailable. Shipping to the EU, including the Republic of Ireland, incurs an additional £15 charge and can take up to 5 days. Expedited shipping is unavailable on orders from outside the UK. Special order items have a lead time of 4-6 weeks and are shipped to our warehouse from the factory in Germany prior to being shipped to our customers. Our staff will keep you appraised of expected delivery times on special orders. If you are unavailable to sign for the products at the time of the first attempted delivery our courier will reattempt delivery up to three times after which the shipment will be returned to us and will require shipping again. You will be notified of an estimated time of arrival prior to delivery, this will be done by email or text message depending on the contact information provided. 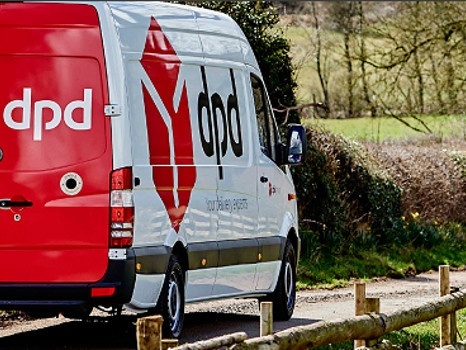 If this delivery time is unsuitable you can contact DPD to rearrange a new delivery date, collection from a drop off point or DPD's local depot. The driver should leave a card in the even that the delivery is unsuccessful. In the event that your order is returned to us due to, for example; incomplete or incorrect address; three failed delivery attempts; or refusal of delivery, we will notify you once the consignment is received back at our warehouse. You may then request re-dispatch of your order or cancellation and refund. It should be noted that any refund of undelivered items will have the original shipping cost deducted from it. Redelivery of shipments that have been returned undelivered will incur an additional charge. All orders places with us for items that are available for immediate dispatch are subject to a 24 hour or 1 working day processing and dispatch time. If you change your mind within this period you can contact us and cancel your order without penalty prior to it being shipped. If you wish to cancel an order that has already been shipped but has not yet been delivered we will endeavour to contact the courier and recall the item before delivery is attempted. We will process a refund once we have received the recalled item back at our warehouse and the shipping cost will be deducted from this. If you have received your item and wish to return it as unwanted or for aesthetic reasons (eg the item is not damaged or faulty) you should contact us within 14 days of receipt to arrange returning it to us. We would require that the item be dismantled and repackaged in the manufacturer's packaging. We will organise collection of the item by our courier and a refund less the collection cost will be processed once we have received it. If your item arrives damaged or faulty we will be happy to replace any damaged parts, replace the entire item if necessary, or provide a full refund. The procedure for the return of faulty goods is as above but no deductions will be made if a refund is requested. In the event that you wish to make a claim against the manufacturer's warranty we would ask that you contact us and we will deal with Topstar GMBH on your behalf to resolve the claim. The total cost of your returned order will credited to the payment method used at checkout within 14 days of receipt of the returned product at our warehouse. Please be aware that, where applicable (e.g. international sales, unwanted returns, etc), your refund will have the cost of our original outward shipping to you deducted. Please note that if you have chosen expedited shipping for the delivery of your order, this cost is non-refundable.